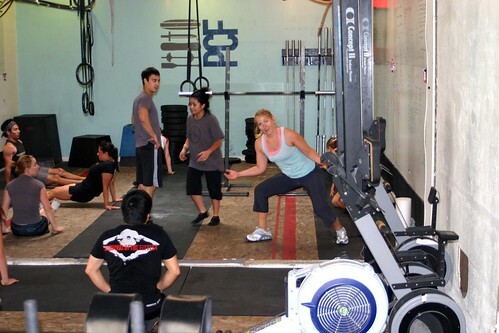 Home » WOD Blog » Get up! Learn and practice the Turkish Get Up. * Arms must be at full extension overhead with elbow in line over shoulder and both legs must be at full extension with feet reset under your body (no wider than shoulder width) before bar returns to the floor. *Arms and legs must be at full extension, locked out at the same time with feet back under body before barbell returns to floor.